One of the most important concerns for every expat is ensuring his health will be taken care of in the country he has begun to call his own. This is especially true when he has just moved and still has to make adjustments. Often, the stress of relocation can lead expats to become more vulnerable to illness, but if expats are aware of what precautionary measures to take, even these risks can prove to be insignificant. 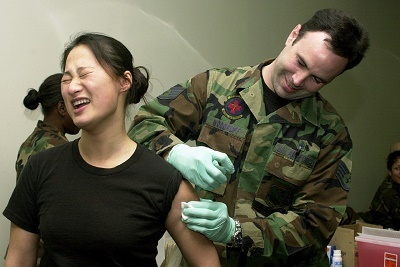 No vaccinations are required before going to China but if an expat is from a country affected with Yellow fever, a vaccination certificate will be required to ensure that one is free from the said disease. Vaccines for typhoid, diphtheria, hepatitis A and B, tuberculosis and rabies are highly recommended. Other vaccines might include immunisation for Japanese B encephalitis and tick-borne encephalitis. Routine vaccinations such as measles/mumps/rubella (MMR), diphtheria/pertussis/tetanus (DPT), and poliovirus also need to be updated. If an expat is headed for Anhui, Yunnan or Hainan provinces, where malaria cases are high, it is important to come with prescription anti-malarial drugs, insect repellents and protective clothing as well as bed nets if one is to sleep in an open air room. To be sure about not missing anything, it is best to consult a travel doctor 4-6 weeks before flying to China so one can relocate fully prepared and safe.